Learn how to correctly integrate the Tempo of the Tour Pros into your swing. Over 100,000 golfers, including Major Championship winners, have improved their games by using Tour Tempo. In addition, Tour Tempo has been validated by an Independent Scientific Study by the Departments of Physics and Biomechanics at Yale University. 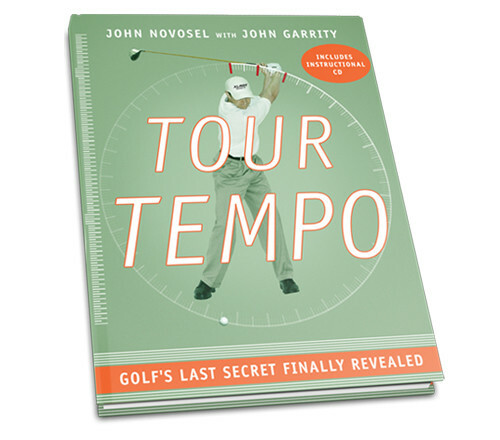 In this breakthrough book, John Novosel and Sports Illustrated writer John Garrity explain exactly how to achieve Tour Tempo. Through clear, step-by-step instruction, golfers are taught how to master two basic drills to synchronize their swings. Included with the book is a revolutionary instructional CD-ROM, featuring videos that illustrate exactly how to learn the tempo secrets of the tour pros, and a calibrated soundtrack that you can use while practicing at a driving range or in your living room.